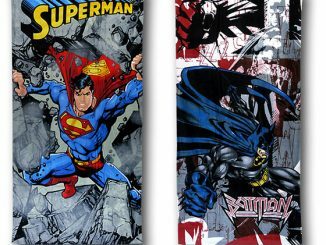 As illogical as going to a crowded beach may seem, harmful UV rays, crowded parking lots, hairy guys with gold chains, etc., we all know why we do it…Women enjoy showing off new summer bikinis, like Batman and Wonder Woman, and guys enjoy staring at the woman while they do just that. 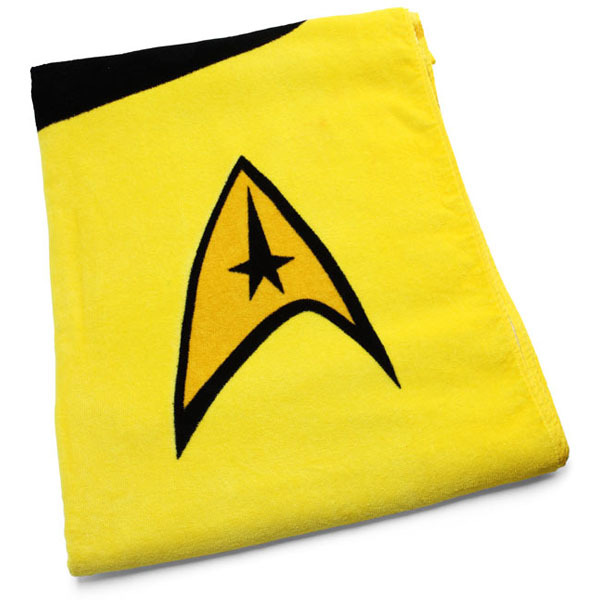 Eventually you’re going to need a towel for one reason or another, and having a Captain Kirk gold Star Trek Beach Towel to sit on is going to be a big plus. 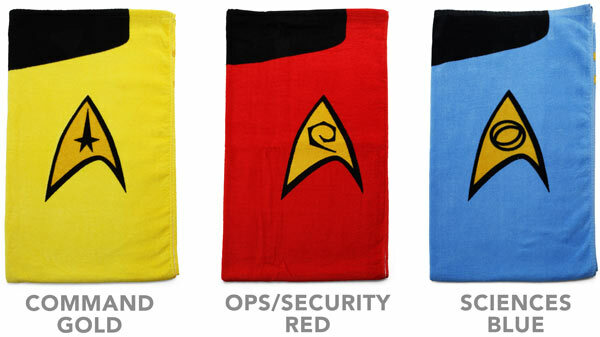 The Star Trek towels are available in command gold, security you’re going to die red and science blue. 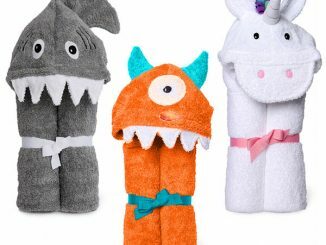 Ladies take time to make sure you, or the man you’re about to talk you, has a towel worthy of your expectations…Red always seems like fun, but they’re never around for long. 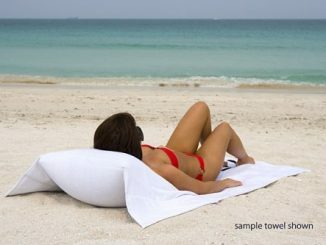 Whether you choose to head to the beach, hang by the pool, or just shower at home. 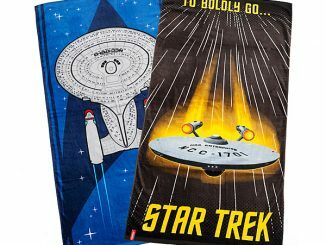 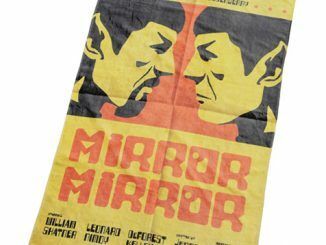 The officially licensed Star Trek towels will make every fan jealous. 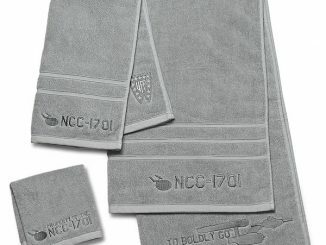 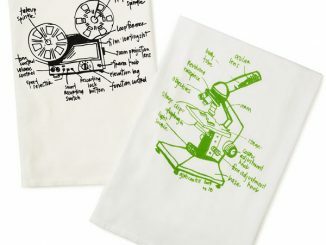 Each towel measures roughly 29″ x 60″ and has the appreciate insignia. 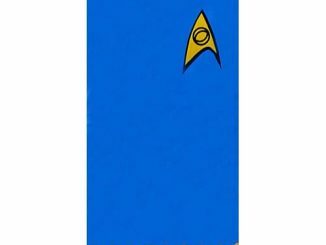 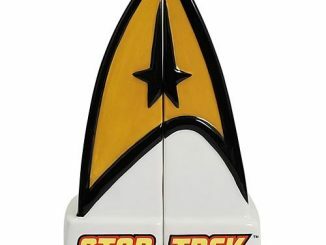 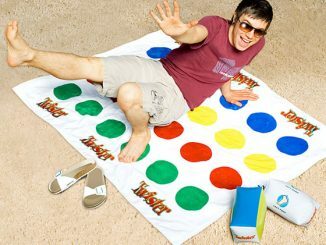 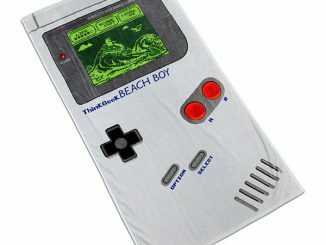 Take all your Star Trek adventures poolside with the Star Trek Beach Towels available at ThinkGeek.com for $29.99 each.